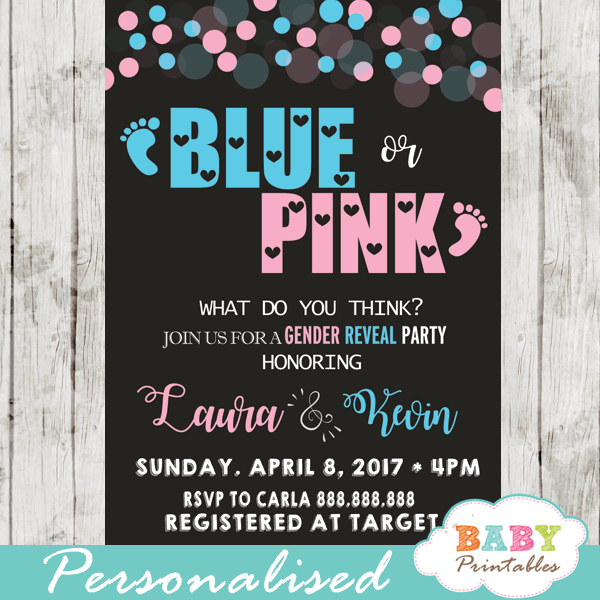 Gender Reveal Invitations featuring cutesy baby footprints and a fun bold mix of typography in pink and blue patterned with little hearts against a black backdrop with bokeh lights. 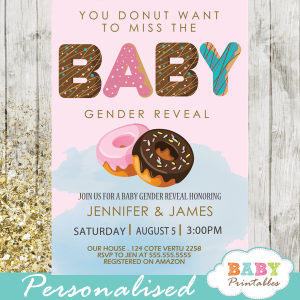 This adorable design is perfect for a gender reveal baby shower party with all your family and friends to find out if your new baby is a boy or a girl. 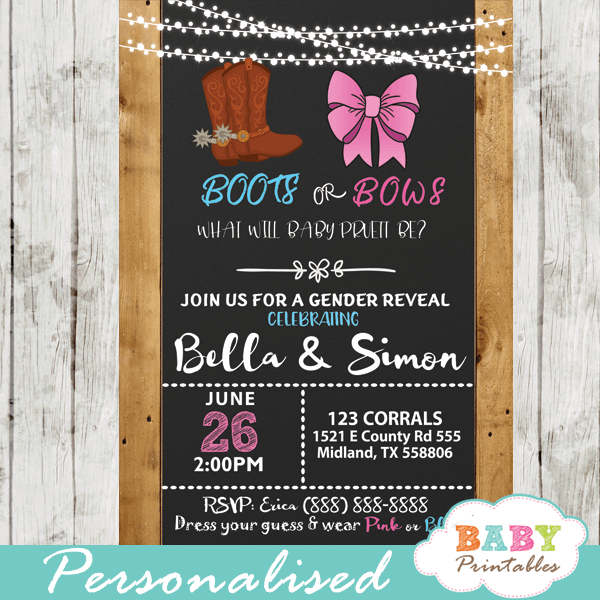 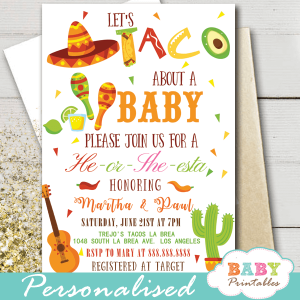 ★ Click here to view our gender reveal invitations templates. 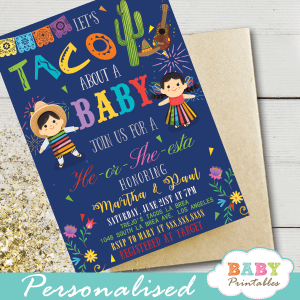 ♥ PLEASE CHECK YOUR SPELLING AND PUNCTUATIONI will ‘paste’ the wording you provide to ensure its accuracy so please submit the wording exactly as you’d like to view on the invitation.